The next terrain piece for our growing samurai range is currently being finished up, and some smaller test prints have been very successful! ▲ This first cg render shows the one piece print. Two of the sides are straight edged, and can be used just like this with the head-height stone walls (also included in the set), neatly tucked into a corner. 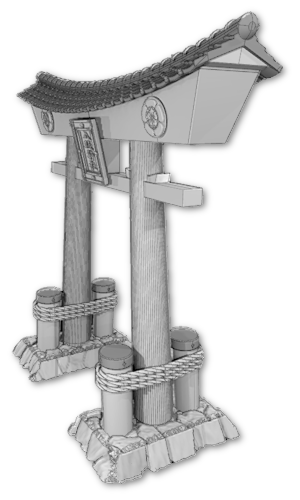 Those two stone lanterns are additional extras included in the set; one lantern is a neatly carved decorative stone lantern (in white), and the second is a rougher, more weathered rock lantern (in grey, at the back). You can print those separately and add them wherever you like in the garden. 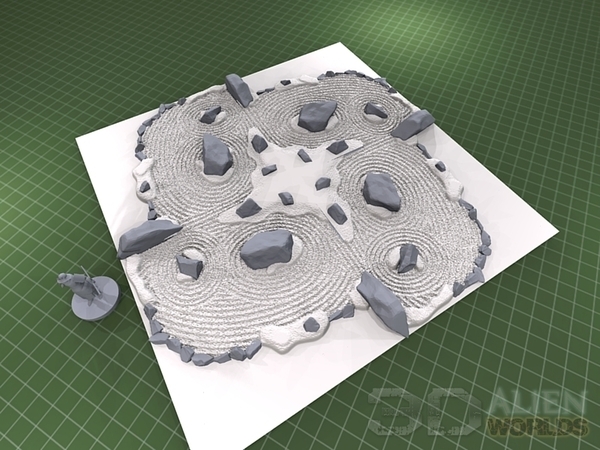 ▲ Or, if you want something bigger, you can print 2, 3 or even 4 copies of the same zen garden piece and back them all together. The design even features small holes for tiny magnets, to get a tight fit on your tabletop. 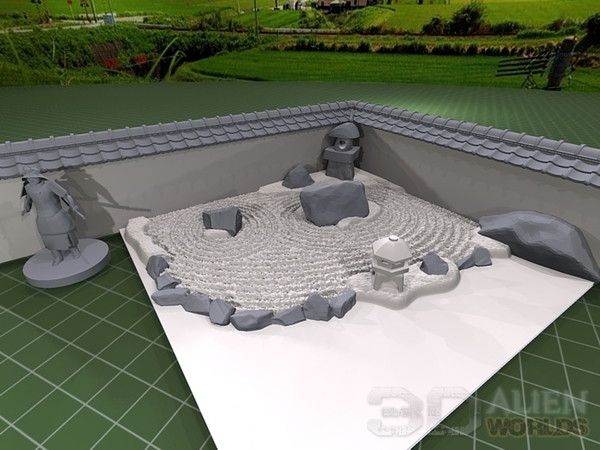 The picture above show the design of a 4 piece print, with that large central moss bed being an ideal place to add additional rocks or lanterns.